Japanese brand Mitsubishi will be releasing limited-edition variants of two models, the Lancer compact sedan and the RVR subcompact crossover. 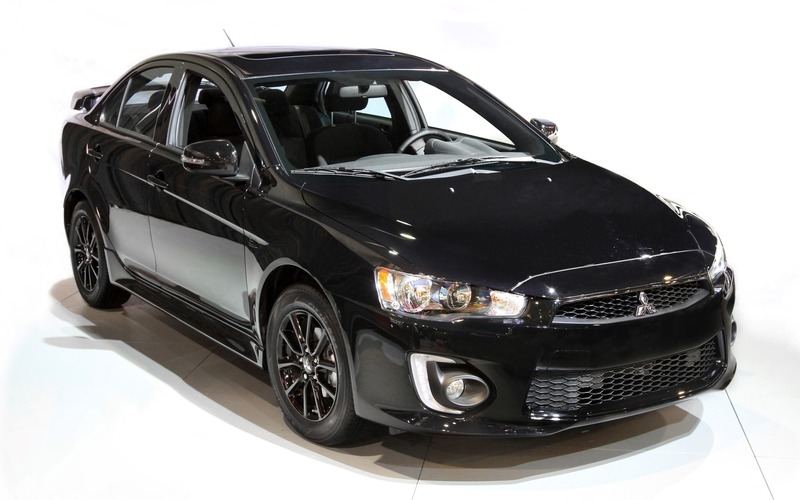 The 2017 Lancer SE Black Edition ($21,698) is equipped with a 2.0-litre engine, producing 148 horsepower, with a choice between a five-speed manual transmission and a continuously variable automatic. The 2017 Lancer SE AWC Black Edition ($25,198) is also available, which benefits from all-wheel drive and a 2.4-litre engine matched to the automatic transmission, good for 168 horsepower. The Black Edition cars receive black-painted bodywork and 16-inch alloy wheels. Inside, the dashboard gets piano black and red trim. The seats, the leather-wrapped steering wheel and the shift knob are all highlighted by contrast red stitching, and the overall look is completed by alloy pedals. As for the 2017 RVR SE AWC Black Edition ($28,698), with a 2.4-litre engine producing 168 horsepower and a continuously variable automatic transmission, it’s equipped with black 18-inch alloy wheels and a black paint job. Its cockpit receives the same trimmings and colours as the Lancer’s. The Lancer and RVR Black Edition variants also benefit from an audio system with 6.5-inch touchscreen, allowing Apple CarPlay and Android Auto integration for the first time. A total of 400 units of the Lancer Black Edition and 600 units of the RVR Black Edition will be built this year. For several years now, sport-utility vehicles are in fashion, and most subcompact and compact models offer, either as standard or on their options list, an all-wheel drivetrain to handle to winter season. However, no matter their size or feature content, these AWD SUVs generally cost at least more than $25,000.